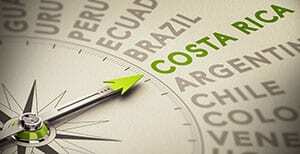 Costa Rica Travel Insurance for Costa Rica - How important is it? Before you purchase your airline tickets and or vacation package to Costa Rica, it is always a wise decision to consider travel insurance. Travel insurance comes in handy in a variety of situations, and I’ll start by looking at a scenario and when you may not need travel insurance – so that you can better gauge when you do. If you are booking a flight or vacation last minute to Costa Rica, travel insurance might not be right for you. It’s important to note travel insurance typically only covers unexpected events unless otherwise stated. 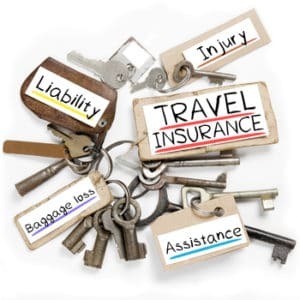 Booking a large trip a month or two out typically poses greater risk as there are many unknown factors that could arise between the time of booking and the trip which may make impossible to complete, so that’s where travel insurance is going to come into play. Whereas someone booking a flight or package a few days or a week beforehand is likely going to have less of a chance to have something go wrong in the short time period leading up to the flight. With these in mind, let’s start to take a look at how travel insurance impacts your travel plans, and I’ll start with the basics such as when to buy travel insurance, how to avoid loopholes in your policy, common exclusions, and more. When Should You Buy Travel Insurance to Costa Rica? Many people wonder when they should buy travel insurance when planning a trip to Costa Rica, and the best answer is: as soon as possible after making the very first payment towards the trip. This would usually be the purchase of the plane tickets. The reasons for this are two-fold. First, you give yourself a larger window of protection should something go wrong, and as we said above, and since travel insurance covers unexpected events, you never know when that could happen. Secondly, sometimes it gives additional coverage, like a pre-existing condition waiver, that we’ll talk about below. So when in doubt, it’s never a bad idea to buy it the same day that you book your flight. What Exactly Does Travel Insurance for Costa Rica Cover? 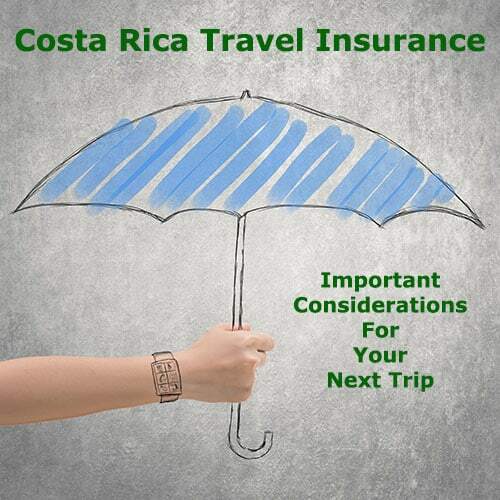 Travel insurance for Costa Rica can cover a wide variety of activities including hotels and car rentals but it is important to make sure they are listed on your policy. These would usually be on the coverage section; so if its not specifically listed, or its under the exclusion section, then it would not be eligible. Again, it is important to reiterate that travel insurance covers for the unexpected so keep that in mind as you read over this list. Each policy will vary a lot on what they do cover; however, there are also different types of travel insurance you can purchase depending on your needs. The most common alternate form of travel insurance that people get before going to Costa Rica is “Cancel for Any Reason”, which is pretty much as described. Like all travel insurance, there is a window of when you can buy this, but you usually have to decide on it much faster than other travel insurance. The best bet is to buy it within a few days of your initial deposit. This type of insurance has to be purchased for the full value of your non refundable trip deposit. Most policies of this nature will cover between 50-80% of the trip value and can literally be cancelled for any reason. The most common purpose of this type of travel insurance is to protect against political and civil unrest. For example, you might be heading to Costa Rica and it may have had strikes and large protests before – and you want to be protected in case your flight is suddenly cancelled for these reasons. This is typically excluded from a regular travel insurance policy but is one of the best reasons to get a cancel for any reason policy. There’s a few things that can be avoided upfront by reading over the policy completely and understanding what does and does not cover. Coverage confusion is the top problem travelers to Costa Rica run into when purchasing their insurance. The worst case scenario is buying insurance to help cover a possible problem that could arise and cancel your trip – the only problem being, that problem is not listed on the coverages, so when it happens, you are out of both your trip money and the money you paid for coverage. So always be 100% certain of the coverages you are paying for and if it isn’t listed, you may look at a cancel for any reason policy instead. Speaking of coverages, one of the most common errors is regarding pre-existing conditions, Pre-existing conditions are almost always never covered in your typical policy, however there is a way to get coverage for it; for extra, you can purchase a waiver. To buy this waiver, you usually have to buy the insurance right away, be healthy at the time of purchase, and insure the full amount of the trip. Otherwise, almost no coverage is going to provide an out so it is important to get this right if applicable. Although pre-existing conditions are one of the more common exclusions, it’s important we discuss some of the other exclusions as well. This varies by company and by policy, but acts of war and political unrest ( highly unlikely since Costa Rica does not have an army) but are almost always up there with pre-existing conditions as something you be guaranteed to see on the exclusion page – and this is why there are cancel for any reason policies as we described above. Besides that, small baggage delays, loss of personal items such as keys, money, credit cards; death of a pet, and sports injuries are typically not covered. Besides coverages and exclusions, there are a few other common mistakes regarding travel insurance for Costa Rica, some of them when you already have it. If you need to make a claim for any reason, be sure to have your documentation and paperwork submitted as soon as possible to speed up the process. A lot of the cancellation reasons (like being too sick to go) will need a legitimate note from a doctor, so it’s something to keep in mind if you do need to use it. Lastly, be sure not to enroll too late. Know your coverages, exclusions, and claim processes, and travel insurance will go a long way to ensuring that you are taken care of in the event of something happening. 1. A family member you’re traveling to Costa Rica with gets sick, and you need to cancel your vacation. Let’s say you are heading across the country to California where you plan on spending a week at a resort, flights are booked, the rental car is paid for, etc. A few days before the trip, your son comes down with the flu, unable to travel via doctor’s orders. In this worse-case scenario, you could be out thousands in expenses. 2. Your luggage is stolen. Sometimes overlooked are the staple items in our everyday lives. You might be thinking of that new expensive shirt in your luggage, but what about the basics like eye glasses, prescription medications, contacts, shoes, etc? These add up fast and can be quite expensive. For companies that offer a separate theft option, it’s good to ask how they evaluate the value of each item beforehand. Also keep in mind that homeowners or renters insurance will protect your personal belongings that you take with you anywhere in the world, but your deductible will apply and any such claim will be held against you. So, with a typical $1,000 deductible, if you lose $2,000 worth of luggage, it may or may not be worth making a claim on your homeowners policy – as doing so may raise your rates in the future, so it would be better to get travel insurance in place instead. 3. Having an emergency while on your trip. Let’s say someone you are traveling with has an immediate emergency – perhaps they become very sick or injury occurs. You need to cut your vacation short immediately and risk losing out a week on your hotel and resort, and you also need to book a different flight home right away. 4. A massive earthquake hits Costa Rica. Perhaps you were planning on going to Costa Rica for 2 weeks with your significant other, and you’ve booked ahead of time everything you’ve wanted to do. Suddenly, a few days before your trip a massive earthquake hits and everything changes. Everything from plane tickets, to your resort, to any activities you were going to do while you were there – it’s all changed. 5. You are robbed while on vacation. One of the more unfortunate situations to occur. While your belongings may not be forcibly removed from you, tourists can be the targets of crime of opportunity. These can include nuisances such as pickpocketing, ATM scams, and so forth. It is smart to never leave anything unattended as well as splitting up your cash reserves if you are in any area which isn’t explicitly low risk. Flight insurance to Costa Rica is a type of travel insurance that covers against losses related to air travel. While most travel insurance is more inclusive of things like hotels and other related booking fees you pay upfront (like a rental car), flight insurance just covers the plane itself, to and from your destination. There is also flight accident insurance, which pays your family monetary benefits should something happen to you when boarding, flying, or departing an airplane. For example, some policies average around a $500,000 payout for accidental death; a percentage of this can be paid out for loss of limbs or eyesight. It’s worth noting that some credit card companies automatically offer flight accident insurance when you purchase your flights through them, so always check first to see if you can get it for free before adding it on to your plan. Like all else in travel insurance, it comes down to each individual provider as well as the type of insurance you purchased. A simple rule of thumb to follow is that you can roughly expect anywhere from 5-10% of your total prepaid trip cost. This means if you booked $3,000 worth upfront between your plane, hotels, rental cars, and some other expenses, you could be looking at anywhere between $150 to $300 give or take for your insurance policy. Rates fluctuate with age too, with people over 50 being charged more than their younger counterparts. Travel insurance contracts in general and sometimes for Costa Rica are detailed and vary, both in type of coverage as well as small details between companies. It is important to carefully review your travel insurance plan before purchasing it, as well as noting any important procedures that must be followed in case of an accident. Most travel insurance tends to reimburse you, meaning you pay upfront for all costs associated with an event happening that requires a claim, and then they’ll pay you back. It’s important during such times to keep careful track of all receipts and expenditures so that you will have a smooth process should you have to use the travel insurance. Is the money you spend on your flight something you can risk losing? 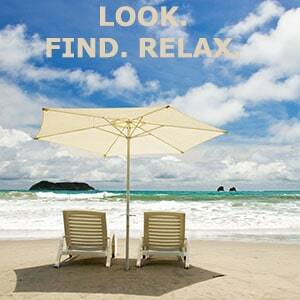 If not, travel insurance could come in handy. If there is an emergency that occurs and you need to leave ASAP, can you afford to book another flight while giving up on the one you already purchased? Do you plan on doing anything inherently risky while in Costa Rica? If so, double check to make sure its covered, especially on medical plans. For example, someone traveling to Costa Rica might try out zip lining, white water rafting, or even just participate in a sport like surfing. In any such case, it is good to both be covered and ensure that the coverage will work when you need it most. These simple tips regarding travel insurance and plane travel tp Costa Rica can help you ensure that your next trip remains hassle free, no matter what happens. So is it worth getting travel insurance? The simplest way to answer this is, if your non-refundable expenses that you already paid for are more than you are willing to lose in the event that something goes awry, then travel insurance is worth checking out.